Garrett Aube didn't feel much like getting out on Friday, tallying four hits and leading Falmouth Yachtsmen Varsity to a 14-4 win over Westbrook. Aube singled in the first, singled in the second, singled in the third, and singled in the fourth. Westbrook got their offense started. #20 singled on the first pitch of the at bat, scoring one run. Falmouth Yachtsmen Varsity scored six runs in the fourth inning. Sam Kidder, Ike Kiely, Garrett Tracy, Will Bopp, Josh Lefevre, and Aube all contributed in the big inning with RBIs. Tracy was the winning pitcher for Falmouth Yachtsmen Varsity. He surrendered four runs on five hits over four innings, striking out six. Jack Kidder threw one inning in relief out of the bullpen. Kidder recorded the last three outs to earn the save for Falmouth Yachtsmen Varsity. #21 took the loss for Westbrook. He surrendered six runs on four hits over one inning. Falmouth Yachtsmen Varsity racked up 11 hits on the day. Aube, Kiely, and Bopp each collected multiple hits for Falmouth Yachtsmen Varsity. 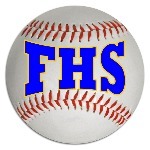 Aube led Falmouth Yachtsmen Varsitywith four hits in four at bats." ​Powered by Narrative Science and GameChanger Media. Copyright 2018. All rights reserved." Any reuse or republication of this story must include the preceding attribution.